New Delhi, Apr 18 , 2018 : The Law Commission on India has recommend that the Right To Information Act be made applicable to Board of Control for Cricket in India (BCCI) along with all of its constituent member cricketing associations, provided they fulfill the criteria applicable to the cricket board. In its report submitted to the Law Ministry on Wednesday, the commission said non-consideration of the role played by the BCCI as monopolistic in regulation of the game of cricket has resulted in the board “flying under the radar of public scrutiny, encouraged an environment of opacity and non-accountability”. Asserting that the cricket board works as a limb of the State, the law panel said, BCCI has received “substantial financing” from appropriate governments in the form of tax exemptions and land grants. “An analysis of the functioning of BCCI also shows that the government does exercise control over its activities and functioning. “… BCCI, falling in line with the foreign policy of India, did not recognise a player from South Africa due to their practice of apartheid; and that the cricket matches between India and Pakistan in view of tense international relations were made subject to government approval. 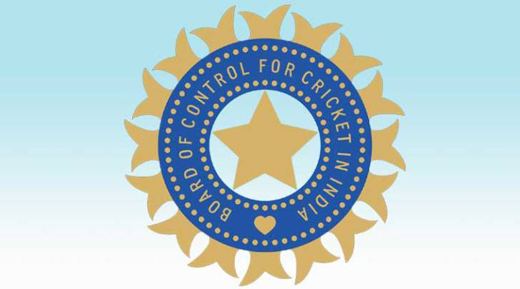 The foregoing positions BCCI as a ‘limb of the state’,” the law panel report said. It said though the BCCI is continued to be regarded as a “private body”, owing to its “monopolistic character coupled with the public nature of its functions, it can still be termed as a ‘public authority’ and be brought within the purview of the RTI Act. The BCCI has enjoyed tax exemptions of “thousands of crores”, the report said. “To be precise, between 1997-2007, the total tax exemption amounted to Rs twenty-one billion six hundred eighty-three million two hundred thirty-seven thousand four hundred eighty-nine. It may also be noted here that from 2007-2008 onwards, the registration of BCCI under section 12A of the Income Tax Act, 1961, as a charitable trust, was withdrawn,” it noted. Earlier in July 2016, the Supreme Court had asked the commission to recommend whether the cricket board can be brought under the Right to Information Act. The report, states that BCCI ought to be classified as ‘state’ within the meaning of Article 12 of the Constitution. The panel is of the view that the BCCI virtually acts as a national sports federation. It said the BCCI’s memorandum of association states that the Board’s objects and purposes are to control, improve quality, lay down policies pertaining to the game of cricket in India as well as select teams to represent India at international fora. “Moreover, as per the statement made in the Lok Sabha, the central government has already been regarding BCCI as a national sports federation… since all other sports bodies which are listed as NSFs are covered under the RTI Act, it is inconceivable as to why BCCI should be an exception,” it said. The recommendations of the Law Commission are not binding on the government.